This is the story of America. Well, that may be a slight exaggeration. But this is the story of the attempt by American alcoholic beverage importers to compete with domestic producers. 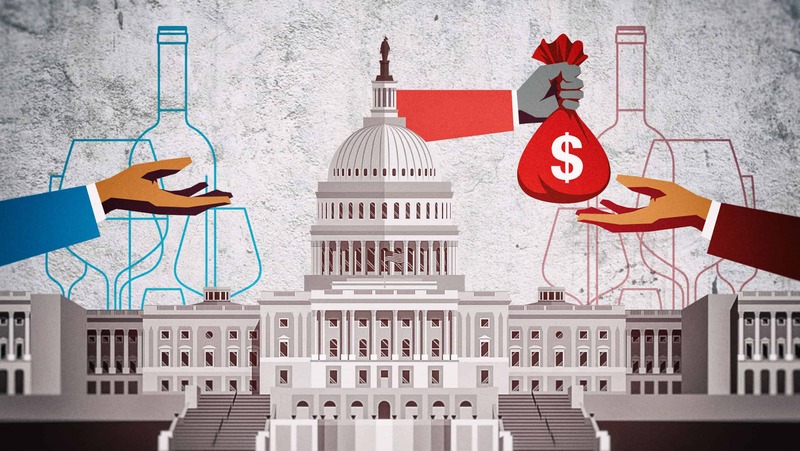 As you likely know by now, the Craft Beverage Modernization and Tax Reform Act of 2017 (CBMA) drastically reduced the federal excise tax (FET) on alcoholic beverage products through 2019. The CBMA reduced the FET on beer from $7 per barrel to $3.50 per barrel for domestic brewers who brew less than 60,000 barrels annually, and from $18 to $16 per barrel for larger producers (less than 6,000,000 barrels annually); on wine from $1.07–$3.40 per gallon to $1 on the first 30,000 gallons, and to 90 cents on the first 100,000 gallons (after the first 30,000) annually; and on distilled spirits, the focus of this article, from $13.50 to $2.70 on the first 100,000 proof gallons annually. As is abundantly clear, and has been widely publicized, the benefits to domestic distilled spirits producers is, putting it mildly, advantageous to the tune of $1,000,000 for any producer taking full advantage of the benefit. The CBMA also extends to imported products, but unfortunately, importers cannot take immediate advantage of the benefits. Although the CBMA came into effect in January, it took the TTB and U.S. Customs and Border Protection until June 27 to even provide guidance to importers. The “guidance” amounted to little more than punting the issue down the road. According to the TTB’s website, “U.S. Customs and Border Protection (CBP) is responsible for the collection of tax on imported alcohol products. Consequently, CBP has issued guidance on implementation of the Craft Beverage Modernization and Tax Reform Act of 2017 (as contained in Public Law 115-97) with respect to qualifying imports of beer, wine, and distilled spirits.” That CBP guidance, pertinently, noted that importers must continue to pay the full FET. Some, like Dragos Axinte, the entrepreneur and CEO of Novo Fogo cachaça, feel that this amounts to discrimination. For Axinte, it’s a matter of willingness. “I can’t imagine it’s that difficult to make a software change to allow for the lower rate,” he says. According to Bill Earle, president of the National Association of Beverage Importers (NABI), “Customs is not going to modify its system for entry, but the importer refunds will be a work-around.” That million-dollar tax savings means holding off on hiring sales staff and increasing marketing budgets. The CBMA may have passed late in 2017, but regulators were involved in numerous conversations and knew this was coming. The protests, according to CBP, should include an Excel file with information such as the entry numbers, line numbers, producer, alcohol type, tax rate or credit assigned, and quantity claimed for the tax rate or credit. In addition, NABI is recommending that its members gather information about their foreign suppliers. In addition to basic details, NABI advises specifying whether the foreign supplier is a stand-alone business and not part of a larger group with ownership of multiple suppliers or a control group, which would limit the amount of credits the foreign supplier could assign to its U.S. importer. Earle explains that the delay has been due to an effort on the part of Customs to avoid fraud, though he suspects this is a largely unfounded concern. After all, he says, importers are not likely in business to deny the government its revenue, especially with their importer permits at risk. Still, refund requests will not be processed until at least January 15, 2019. If the CBMA becomes permanent, that will hopefully spur CBP to implement a permanent solution. Many in the industry, including the American Craft Spirits Association and the Distilled Spirits Council, are lobbying to make the reduction permanent.